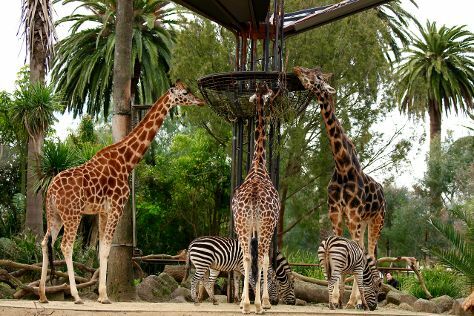 Kick off your visit on the 9th (Fri): learn about wildlife with up-close encounters at Melbourne Zoo, take in panoramic vistas at Eureka Skydeck 88, and then take in the local highlights with Royal Botanic Gardens. Keep things going the next day: see the interesting displays at Melbourne Museum, admire the masterpieces at National Gallery of Victoria, and then have some family-friendly fun at Zero Latency. Kuala Lumpur, Malaysia to Melbourne is an approximately 11-hour flight. The time zone difference when traveling from Kuala Lumpur to Melbourne is 2 hours. Traveling from Kuala Lumpur in August, expect Melbourne to be much colder, temps between 16°C and 6°C. Wrap up your sightseeing on the 10th (Sat) early enough to drive to Torquay. On the 11th (Sun), relax and rejuvenate at some of the best spas and then take a memorable drive along The Great Ocean Road. To see other places to visit, ratings, where to stay, and tourist information, use the Torquay trip planner . Traveling by car from Melbourne to Torquay takes 1.5 hours. Alternatively, you can take a train; or take a bus. Expect a daytime high around 17°C in August, and nighttime lows around 5°C. Wrap up your sightseeing on the 11th (Sun) to allow time to drive to Belgrave. Start off your visit on the 12th (Mon): head outdoors with Trees Adventure - Glen Harrow Park, then identify plant and animal life at Ferntree Gully Quarry Reserve, and then let the kids burn off some steam at Montrose Community Playground and Recreation Reserve. To see where to stay, photos, ratings, and tourist information, go to the Belgrave vacation planner. Drive from Torquay to Belgrave in 2 hours. Alternatively, you can take a train. August in Belgrave sees daily highs of 16°C and lows of 4°C at night. Finish your sightseeing early on the 12th (Mon) so you can travel to Mount Buller. Mount Buller is a town located in the Shire of Mansfield in the Alpine region of the Australian state of Victoria. Start off your visit on the 13th (Tue): hit the slopes at Mt Buller. To see maps, traveler tips, reviews, and tourist information, you can read our Mount Buller online journey maker . Traveling by car from Belgrave to Mount Buller takes 3 hours. You will leave for home on the 14th (Wed).